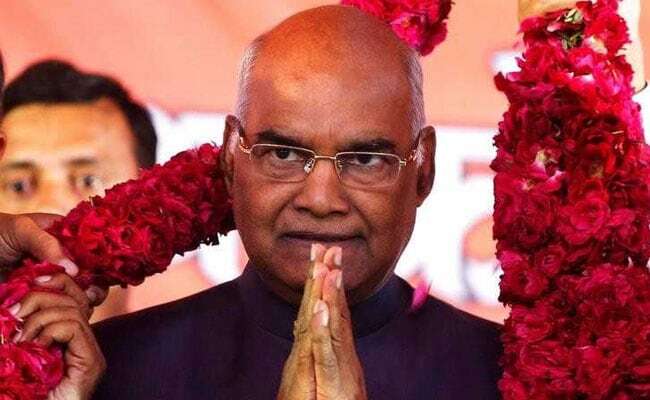 Ram Nath Kovind is expected to win the presidential race given that the BJP and its allies have a majority in the electoral college comprising Members of Parliament and members of legislative assemblies and councils of all states. New Delhi: Early returns today showed NDA's presidential nominee Ram Nath Kovind getting votes with the value of 60683 against opposition candidate Meira Kumar's 22941 in Assam, Arunachal Pradesh, Andhra Pradesh, Bihar, Returning Officer Anoop Mishra said. Mr Kovind is expected to win the top race given that the BJP and its allies have a majority in the electoral college comprising Members of Parliament and members of legislative assemblies and councils of all states. A formal announcement of the winner is expected by 5 pm. The voting took place on Monday. Counting began at 11 am with the ballot box of Parliament House being opened first, followed by ballot boxes received from the various states in alphabetical order. The votes are being counted on four separate tables and there will be eight rounds of counting. An Election Commission official, who has witnessed two previous presidential polls, said usually results are declared around 5 PM. 32 polling stations, including the one in Parliament House, were set up in various states. While the value of an MLA's vote depends on the population of his or her state, the value of an MP's vote remains the same at 708. The numbers are stacked in favour of the ruling coalition's nominee Kovind, a former Bihar governor, over the opposition's candidate and former Lok Sabha Speaker Kumar.